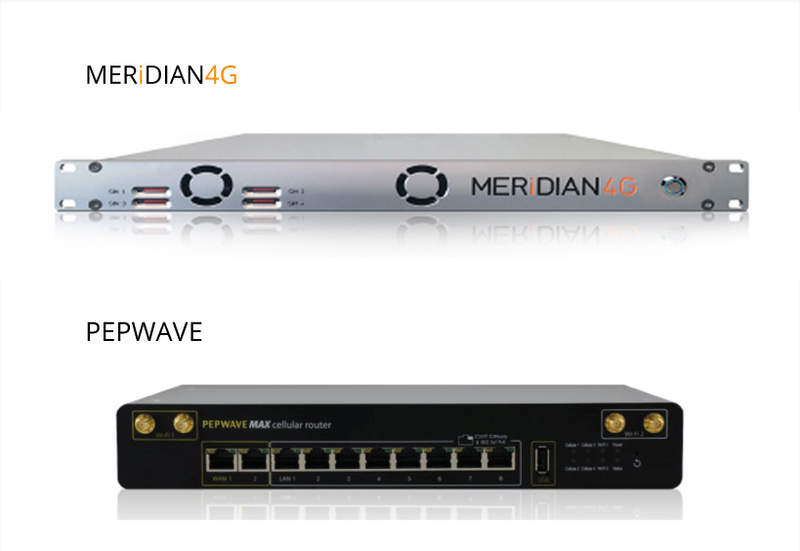 Cat 18 modems used in all our Meridian 4G devices are 5G LTE ready, covering all 30 LTE bands that exist worldwide. Outdated Cat 6 modems in Pepwave devices do not even cover all 4G LTE bands (15 bands only by Americas/EMEA devices) limiting speed and coverage in all superyacht destinations. Cat 12 modems used do not even cover all 4G LTE bands (24 out of 30 bands only) limiting speed and coverage in all superyacht destinations. There is an “option to upgrade” modems to 5G compatible ones at extra cost later. Built to address roaming Our devices do not simply default to the preferred network of the SIM card used. Instead, they automatically check available networks quality, signal strength and various other factors that affect data performance to select and connect each modem to the network providing the fastest data connection in any given location. As a result, we can ensure that all 4 modems are always connected to the best network available resulting in the fastest internet connection with fully automated network selection and no interruptions or manual effort required (manual selection is possible but rarely necessary). Not built for roaming Modems built to default to the network of the SIM card used; if such network is not available modem selects any available network at random. Does not even check if data connection works on that network. End result – blind network selection and unpredictable performance on roaming. Manual selection is possible that requires manual testing limited to perceived performance during short testing intervals. Manually selected network resets if connection is lost and the process has to be repeated manually again. Result: connection interruptions, unnecessary effort/stress, subjective human judgement. Busy ports with overloaded networks, changing distance to shore and roaming create unpredictable conditions for devices built to operate in police cars within the same country. Use of bonding improves reliability if the setup is done correctly. No encryption, connection is not secure. If bonding is used encryption is possible but will affect internet speed. All models have worldwide coverage now but they don’t cover all LTE bands.